Real estate on the Gulf Coast-- how will agents be compensated? Real estate on the Gulf Coast– how will agents be compensated? 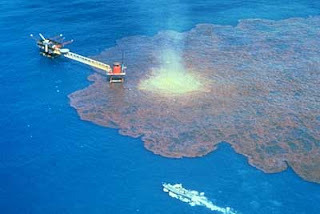 Although the oil spill has clearly done more damage in other capacities, real estate around the Gulf has taken a massive hit as well. Ouch. I mean, sure, Canada’s worrying about housing sales slowing down, but at least we benefited from the upswing. The Gulf Coast has simply been subjected to a massive catastrophe that could never have been predicted. In a political deal struck with the governors of Alabama and Mississippi, up to $60 million from the fund will be set aside in a special pool just for compensating negatively affected real estate brokers and agents in the gulf region who are otherwise ineligible for compensation. BP is providing $20 billion in compensation for the spill. And that fund will essentially waive the right for others to sue BP– and any other companies associated with causing the spill. The $60 million will be distributed by the National Association of Realtors. So they’ll be compensated. Otherwise it would’ve been a massive unexpected hit for realtors to take. At least BP is being proactive– I guess.